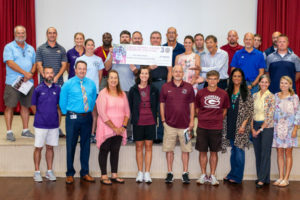 Coaches in Northwest Arkansas receive over $75,000! 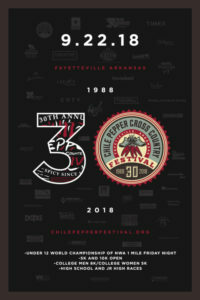 For press credentials and event info as it relates to media relations, additional information or comments contact: Jay Lewis, race director, at jay.lewis@chilepepperfestival.org or 479-530-5954. Collegiate: click here for a list of College teams attending High School: click here for a list of Senior and Junior schools attending.